People have long thought that because Venus is close to Earth and similar in size and mass, it would have conditions suitable for life. However, early robotic probes sent to Venus disproved this theory. The probes found Venus to have a hostile-to-life or hell-like environment. 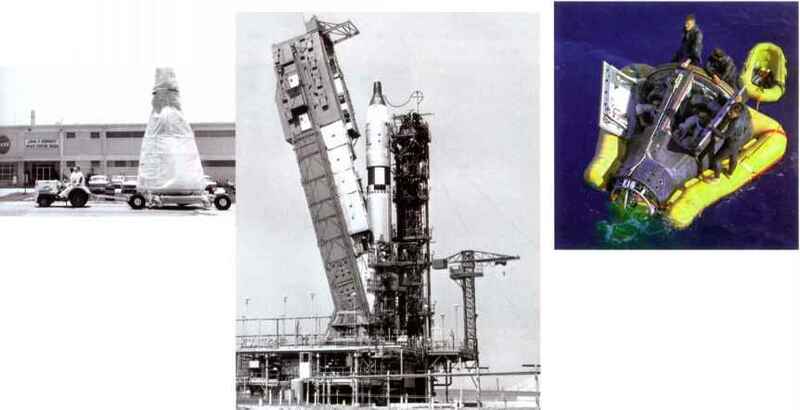 The thick atmosphere, high surface temperature and high pressure hampered early exploration by spacecraft, and many probes were unsuccessful. Both the USSR and USA have sent more probes to Venus than to any other planet, mainly because of its closeness to Earth. During the 1960s the USSR launched a series of Venera spacecraft on missions to Venus. Venera 1 in 1961 was the first space probe to fly by Venus. Communications with Veneras 2 and 3 failed just before arrival. The first successful probe to enter the Venusian atmosphere was Venera 4, on 18 October 1967. Although this craft was crushed during descent, it sent back useful data on the planet's atmosphere, including its chemical composition, pressure and temperature. In 1969, Venera 6 returned atmospheric data down to within 26 kilometres of the surface before being crushed by the pressure. The first successful landing of a spacecraft on any planet was achieved by Venera 7 on 15 December 1970. It used an external cooling device to allow it to send back 23 minutes of data. Venera 9 included an orbiter and a lander - the lander arrived on the Venusian surface on 22 November 1975 and transmitted the first black-and-white images of the planet's surface. Venera 13 survived for 2 hours and 7 minutes on the Venusian surface. It took colour images and analysed a soil sample. The first colour panoramic views of the surface were sent back by Venera 14 in November 1981. This probe also conducted soil analysis using an X-ray fluorescence spectrometer. Veneras 15 and 16 were the first spacecraft to obtain radar images of the surface from orbit. The images were used to produce a map of the northern hemisphere from the pole to 30° north latitude. During 1985, Vegas 1 and 2 flew by Venus for a fly-by on their way to comet Halley. Vega 1 dropped off a Venera-style lander and a balloon to investigate the cloud layers. The lander from Vega 1 failed, but Vega 2's lander was able to collect soil samples. Both Vega 1 and Vega 2 are now in solar orbit. The USA, through NASA, was also active in sending probes to Venus. The first US probe to make a fly-by of Venus was Mariner 2, on 14 December 1962. Mariner 2 passed Venus at a distance of 34 800 km, and scanned its surface with infrared and microwave radiometers, showing the surface temperature to be about 425°C. The temperatures were confirmed by Mariner 5 in 1967 as it passed within 3900 km of the planet. It also studied the magnetic field, and found an atmosphere containing 85-97% carbon dioxide. 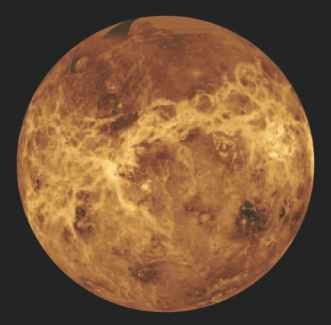 Mariner 10 flew past Venus on 5 February 1974 for a gravity assist to the planet Mercury. It recorded circulation in the atmosphere of Venus and showed the temperature of the cloud tops to be -23°C. Pioneer 13) carried four atmospheric probes that were released on 9 December 1978. The four probes descended by parachute and collected data on the atmospheric layers before burning up in the atmosphere. One of the sub-probes landed intact and sent back data for over an hour. The Galileo spacecraft flew past Venus on its way to Jupiter in February 1990. The USA also sent the Magellan spacecraft into orbit around Venus in August 1990. This probe was launched from the space shuttle Atlantis in May 1989 and took 15 months to reach Venus. Its main mission was to produce a high-resolution map of Venus using synthetic aperture radar, which can see through clouds. The spacecraft mapped 99 per cent of the planet's surface from a polar orbit. In 1994, the craft was directed into the atmosphere where it burned up.